Google News is the defacto news platform for millions of readers across the globe. Have you ever thought, “Hey, my content should be up there too!. If so, while it might appear daunting, submitting your WordPress site to Google News is a much easier process than you might think. Lets start with the basics. Content is king. Indeed content is also queen, the whole royal royal court and their corgis too. Don’t even consider submitting a request for inclusion until your site is rocking out quality content on a routine basis. Have something important to say, and say it well. During the review process for inclusion, Google will manually review your site. That’s right, a real breathing human being amongst Google’s vast automated processes will stop by, check your site out and measure the cut of your jib. Google News is not a marketing service. We don’t want to send users to sites created primarily for promoting a product or organization, or to sites that engage in commerce journalism. If your site mixes news content with other types of content, especially paid advertorials or promotional content, we strongly recommend that you separate non-news types of content. Otherwise, if we find non-news content mixed with news content, we may exclude your entire publication from Google News. There are a number of technical requirements for inclusion in Google News. While you can submit first and get these items in order later, I’d recommend you get all your ducks in a row before requesting review. You wouldn’t turn up to a job interview only to ask the interviewer to pause the interview while you put on your tie. Make a good impression, it counts. Article URLs. To make sure we only crawl new articles, please make sure your URLs are unique with at least 3 digits, and are permanent. This can be tricky if you have an established site – that doesn’t use a permalink structure that adheres to this format; do you really want to change your permalink setup and break lots of existing inbound links? No, I didn’t think so. Thankfully, while Google News don’t explicitly advertise it, its possible to avoid this requirement if you submit a suitable Google News XML Sitemap. Each must be completed for each and every post you want included in Google News. The first three are self explanatory, but that last item item is trickier to pin down. The plugin offers you six options with which to tag your post: Blog, OpEd, Opinion, PressRelease, Satire and UserGenerated. For the best explanation of these genre types, check out Google’s own advice. Note: This plugin also generates a standard XML sitemap too, but you can disable this feature if you already have another plugin working well; I prefer Yoast SEO for standard XML sitemaps for example. You’re a reputable website, providing high quality content right? Of course you are – with that in mind make sure you’re site tells that story too. Have a postal address on your site and a phone number too, include social networks where you are active. Make sure you have a page detailing your writers and their backgrounds. Where’s your privacy and disclosure page, you have one right? Remember, the Google News team are manually reviewing your site and looking for the very best, most credible and trustworthy websites to share with their readers. Tell them who and where you are, why should they trust your website. and at the bottom of the page hit the ‘submit your site for inclusion!’ link. Get ready to enter all your pertinent details. The email will go on to describe the technical elements you need to put in place – but hey – you already did that right? If so, sit back and wait as the smart, credible and incredibly well organized webmaster that you are. Don’t expect to see your stories appear on page one for major news events, well not unless you’re the BBC, in which case, *hint* you’re already on Google News, why are you here? 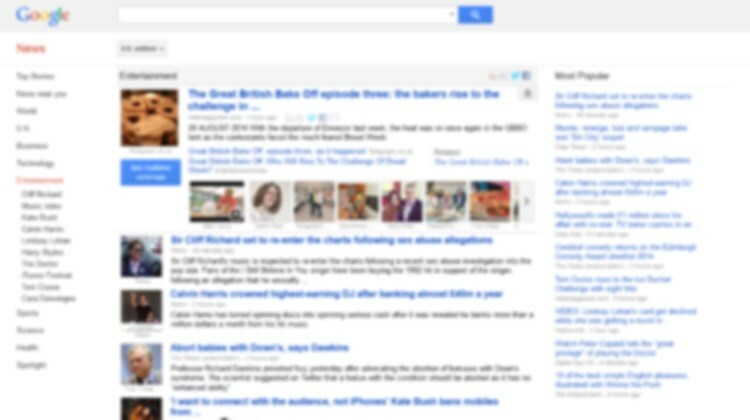 Much like search, Google don’t expose their methodology on how news articles are ordered, or even indexed. Just like search though, you can bet it revolves around trust, credibility and engaged readers. Which brings us right back to our first point: quality content is almighty. If you cover niche topics or have hyper-local coverage its safe to say your copy has more chance of being seen. If you’re ever in doubt as to what is and isn’t indexed, just pop your URL into the search field at https://news.google.com/ and Google will return what it currently has for your website. Also note that for timeliness, Google will only review posts from the past 48 hours. Don’t expect your entire archive of 1000’s of posts to be scooped up and inserted into Google News retroactively. Moving forward be sure to keep Google News Publisher Center bookmarked too. This is an automated tool that lets you manage your site and its inclusion in the Google News service. You can add new content sections plus manage settings for your website too.